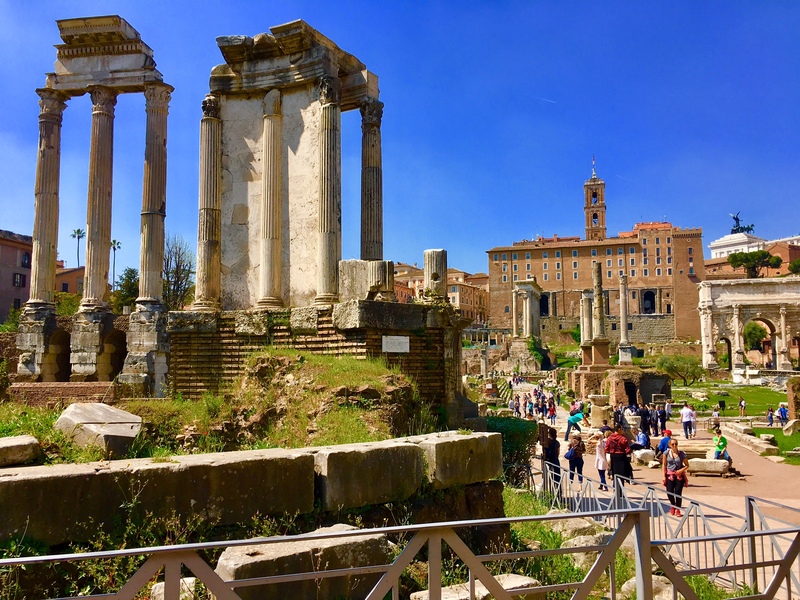 The ruins of two ancient temples and the huge spread of the Roman Forum. Rome, Italy. On the Italy tour. Mike Ross Travel.